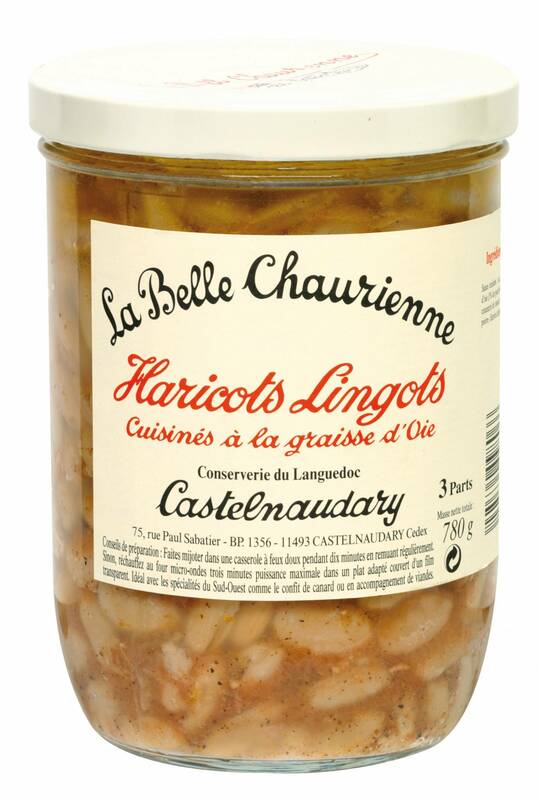 Haricots lingots from Castelnaudary cooked in a flavoursome sauce identical to cassoulet. Haricots lingots work well as an accompaniment to savoury meat dishes. And can be used with our duck confit to make your own duck cassoulet. Dietary Information: Gluten free & wheat free. Egg free. Nut free. Lactose free. Haricots lingots, goose fat, tomatoes, garlic, salt, pepper. Simply warm up gently in a saucepan. You can then add these to duck confit (cook your confit in an oven separately) for a cassoulet style dish. Another delicious way to enjoy these lingot beans is to fry some onions and good quality sausages or chorizo in a frying pan and then add your lingot beans to this mix for a simple sausage cassoulet.